Gujarat Government Class:-3 Nokri Ma Waiting 10 % Na Badle Have 20% Padse : Read news From Different News Papers. 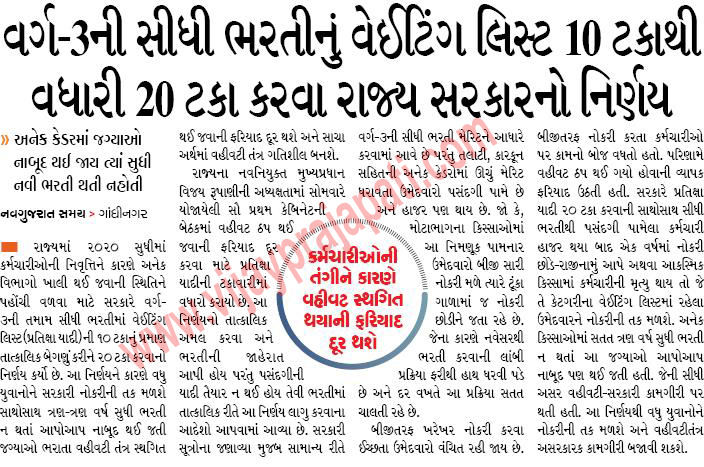 Aapanu Gujarat :: Official Website: Gujarat Government Class:-3 Nokri Ma Waiting 10 % Na Badle Have 20% Padse : Read news From Different News Papers. 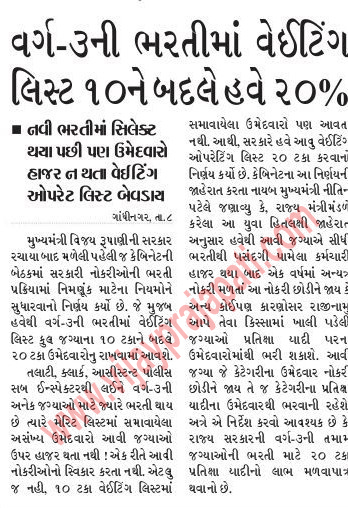 Gujarat Government Class:-3 Nokri Ma Waiting 10 % Na Badle Have 20% Padse : Read news From Different News Papers.